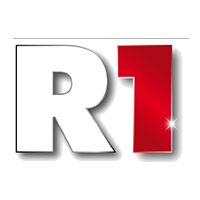 R1 (Russia-1) is a Russian TV channel that is heavily centred around entertainment. The channel is intended for a Russian speaking family audience. The R1 channel enables Russian speaking viewers to watch major international films in their native language. All of the latest box office hits are screened by the channel, along with lesser known novelty or cult movies. World cinema is also represented, with a wide range of movies from around the world dubbed or subtitled into Russian. The channel also shows plenty of global television shows, as well as its own shows in Russian. These include comedy series and sketch shows, along with talk shows intended to entertain the whole family. Children are catered for too, with a regular schedule of programs targeted at young people, including popular cartoons. The primary aim of R1’s content is to provide rest and escape from the outside world, with light content that does not demand engagement from the viewer. The channel broadcasts its programs continuously from Monday to Sunday, 24 hours a day, 7 days a week. This helps it to reach almost every corner of the Russian world. In Russia itself, the channel is watched by 75% of urban people every week. At the same time, R1 allows Russian people living across Europe to access a 100% Russian language channel wherever they are. It is broadcast widely, from Europe and North Africa, Turkey and the broader Mediterranean basin via the HOTBIRD satellite.